David Genova, general manager and CEO of Denver Regional Transportation District speaks during an APTA media event discussing the cuts to public transit funding proposed in the FY19 Presidential budget. Public transit officials nationwide spoke out at a March 19 press briefing to express strong opposition to deep cuts to public transit in the Trump Administration's proposed budget for fiscal year 2019. The American Public Transportation Association (APTA) notes that if such cuts are implemented, the cuts would threaten 800,000 jobs, including 502,000 construction jobs and related positions; in addition to 300,000 long-term roles associated with economic productivity. APTA said the proposed cuts could also lead to a potential loss of $90 billion in economic output, according to an analysis prepared by the Economic Development Research Group for APTA. 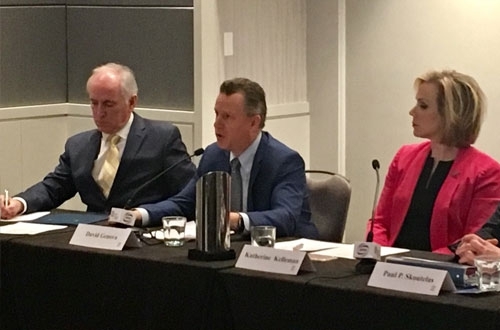 In addition to Ford, CEOs from Sound Transit, IndyGo, the Port Authority of Allegheny County, Capital District Transportation Authority, Denver Regional Transportation District and Washington Metropolitan Transit Authority (WMATA) participated in the briefing. Among the proposed cuts are cuts to grants including the Capital Investment Grants (CIG), Transportation Investment Generating Economic Recovery program (TIGER), Amtrak and WMATA’s budget in its fiscal year 2019 proposed budget. 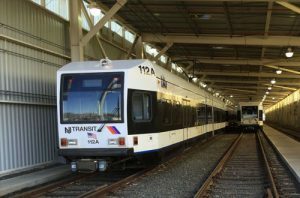 Cuts proposed to the CIG program could also threaten the future of 53 public transit new start projects worth $51.7 billion, APTA said. 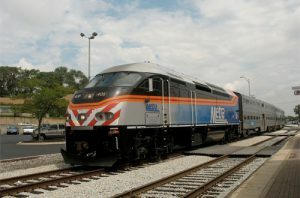 “These projects also have local and state funds committed with the expectation that the federal government will fulfill its financial obligations promised in the 2015 Fixing America’s Surface Transportation (FAST) Act, which was overwhelmingly approved by bipartisan votes of 83-16 in the U.S. Senate and 359-65 in the House of Representatives,” APTA said. 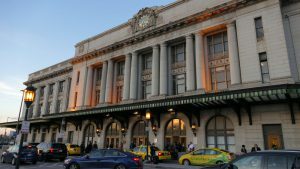 Public transit officials also addressed the potential community and economic impacts the proposed cuts could have on local public transit projects and ways to leverage new federal funding in public transit infrastructure, the association said. Peter Rogoff, president and CEO of Sound Transit in Seattle, Wash., emphasized that taxpayers have invested in transit expansion programs nationwide.